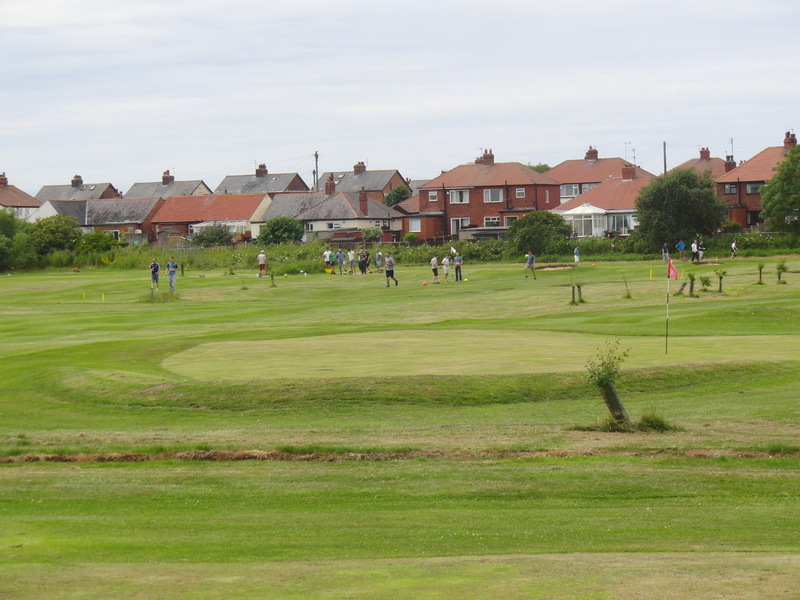 VOTED THE BEST DRIVING RANGE IN LANCASHIRE!!! JOIN 2,500 MEMBERS TODAY FOR OUR FREE MEMBERSHIP PROGRAMME... UNBELIEVABLE OFFERS THROUGHOUT THE YEAR!! Our newly re-vamped driving range consists of 27 individual bays, both covered for those rainy and cold days, but also featuring outdoor bays for you to bask in the summer sunshine. Our bays are also wheelchair accessible. We constantly change mats and balls to give you a quality and course like experience while practicing. We only use top quality Srixon balls to enhance your practice. There are three raised greens, and a total of 15 targets to aim at from 40-260 yards to test your aim with every club in the bag. We also have themed weeks, with cars, goalposts, celebrity cut outs all to be added at certain times of the year! There are new floodlights to give a bright view of winter practice, and at still only £3.50 for 50 balls or £6.00 for 100 balls (£5.50 for Members) represents the best value golf on the Fylde coast. Our course has been given a complete overhaul, with ever improving greens, new fairways and rough, 200 planted trees to five definition, drainage trenches that act as hazards and keep the course dry all year round, winter tee mats and constant love and attention. The Course is also wheelchair accessible. TRY SOMETHING NEW WITH THE FAMILY! ALL AGES CAN PLAY! Check out our unbeatable value! Footgolf and Golf double deals available, great value! Perfect for birthdays, family days out, stag and hen parties, football team outings, or just a game with your mates!